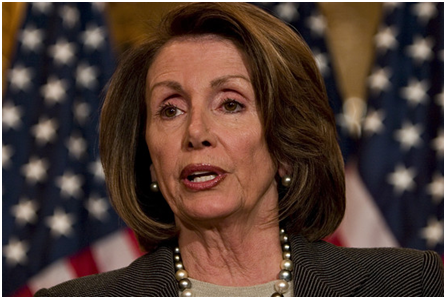 Speaker Nancy Pelosi has reportedly told fellow Democrats that she’s prepared to lose seats in 2010 if that’s what it takes to pass ObamaCare, and little wonder. The health bill she unwrapped last Thursday, which President Obama hailed as a "critical milestone," may well be the worst piece of post-New Deal legislation ever introduced. Yet at this point, Democrats have dumped any pretense of genuine bipartisan "reform" and moved into the realm of pure power politics as they race against the unpopularity of their own agenda. The goal is to ram through whatever income-redistribution scheme they can claim to be "universal coverage." The result will be destructive on every level—for the health-care system, for the country’s fiscal condition, and ultimately for American freedom and prosperity. •The spending surge. The Congressional Budget Office figures the House program will cost $1.055 trillion over a decade, which while far above the $829 billion net cost that Pelosi fed to credulous reporters is still a low-ball estimate. Most of the money goes into government-run "exchanges" where people earning between 150% and 400% of the poverty level—that is, up to about $96,000 for a family of four in 2016—could buy coverage at heavily subsidized rates, tied to income. The government would pay for 93% of insurance costs for a family making $42,000, 72% for another making $78,000, and so forth. At least at first, these benefits would be offered only to those whose employers don’t provide insurance or work for small businesses with 100 or fewer workers. The taxpayer costs would be far higher if not for this "firewall"—which is sure to cave in when people see the deal their neighbors are getting on "free" health care. Pelosi knows this, like everyone else in Washington. Even so, the House disguises hundreds of billions of dollars in additional costs with budget gimmicks. It "pays for" about six years of program with a decade of revenue, with the heaviest costs concentrated in the second five years. The House also pretends Medicare payments to doctors will be cut by 21.5% next year and deeper after that, "saving" about $250 billion. ObamaCare will be lucky to cost under $2 trillion over 10 years; it will grow more after that. • Expanding Medicaid, gutting private Medicare. All this is particularly reckless given the unfunded liabilities of Medicare—now north of $37 trillion over 75 years. Pelosi wants to steal $426 billion from future Medicare spending to "pay for" universal coverage. While Medicare’s price controls on doctors and hospitals are certain to be tightened, the only cut that is a sure thing in practice is gutting Medicare Advantage to the tune of $170 billion. Democrats loathe this program because it gives one of out five seniors private insurance options. Even though the House will assume 91% of the "matching rate" for this joint state-federal program—up from today’s 57%—governors would still be forced to take on $34 billion in new burdens when budgets from Albany to Sacramento are in fiscal collapse. Washington’s budget will collapse too, if anything like the House bill passes. • European levels of taxation. All told, the House favors $572 billion in new taxes, mostly by imposing a 5.4-percentage-point "surcharge" on joint filers earning over $1 million, $500,000 for singles. This tax will raise the top marginal rate to 45% in 2011 from 39.6% when the Bush tax cuts expire—not counting state income taxes and the phase-out of certain deductions and exemptions. The burden will mostly fall on the small businesses that have organized as Subchapter S or limited liability corporations, since the truly wealthy won’t have any difficulty sheltering their incomes. This surtax could hit ever more earners because, like the alternative minimum tax, it isn’t indexed for inflation. Yet it still won’t be nearly enough. Even if Congress had confiscated 100% of the taxable income of people earning over $500,000 in the boom year of 2006, it would have only raised $1.3 trillion. When Democrats end up soaking the middle class, perhaps via the European-style value-added tax that Pelosi has endorsed, they’ll claim the deficits that they created made them do it. Under another new tax, businesses would have to surrender 8% of their payroll to government if they don’t offer insurance or pay at least 72.5% of their workers’ premiums, which eat into wages. Such "play or pay" taxes always become "pay or pay" and will rise over time, with severe consequences for hiring, job creation and ultimately growth. While the US already has one of the highest corporate income tax rates in the world, Democrats are on the way to creating a high structural unemployment rate, much as Europe has done by expanding its welfare states. �� The insurance takeover. A new "health choices commissioner" will decide what counts as "essential benefits," which all insurers will have to offer as first-dollar coverage. Private insurers will also be told how much they are allowed to charge even as they will have to offer coverage at virtually the same price to anyone who applies, regardless of health status or medical history. The political incentive will always be for government to expand benefits and reduce cost-sharing, trampling any chance of giving individuals financial incentives to economize on care. Essentially, all insurers will become government contractors, in the business of fulfilling political demands: There will be no such thing as "private" health insurance. All of this is intentional, even if it isn’t explicitly acknowledged. The overriding liberal ambition is to finish the work began decades ago as the Great Society of converting health care into a government responsibility. Obama’s own Medicare actuaries estimate that the federal share of US health dollars will quickly climb beyond 60% from 46% today. One reason Pelosi has fought so ferociously against her own Blue Dog colleagues to include at least a scaled-back "public option" entitlement program is so that the architecture is in place for future Congresses to expand this share even further. Obama rode into office on a wave of "change," but we doubt most voters realized that the change Democrats had in mind was making health care even more expensive and rigid than the status quo. Critics will say we are exaggerating, but we believe it is no stretch to say that Pelosi’s handiwork ranks with the Smoot-Hawley tariff and FDR’s National Industrial Recovery Act as among the worst bills Congress has ever seriously contemplated. Copyright 2009 Dow Jones & Company, Inc. All Rights Reserved.